Ready or not, the holidays are right around the corner. 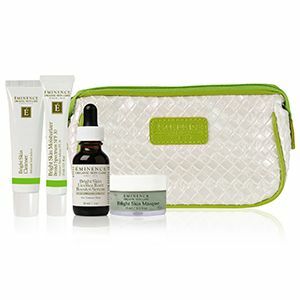 If you’re feeling strapped for gift ideas, look no further than this skin care gift sets guide. Giving the gift of skin care helps those you love carve out time for self-care and, whether it’s a quick moment or a longer ritual, gives them a daily occasion to relax. 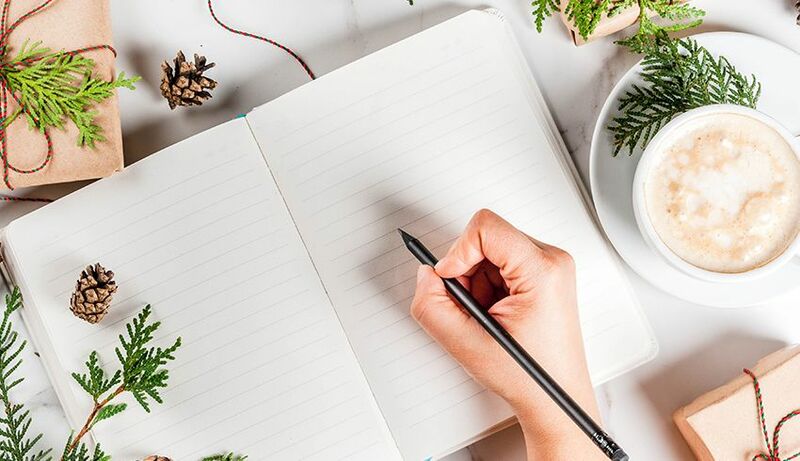 No matter who’s on your list, read on for options to treat all the special people in your life. for your instagram influencer’s next #shelfie! use and feel good about, like our limited edition Perfect Lip Duo. Featuring two full sized products, this gift set includes our polishing Citrus Enzyme Lip Exfoliator and award-winning Citrus Lip Balm. 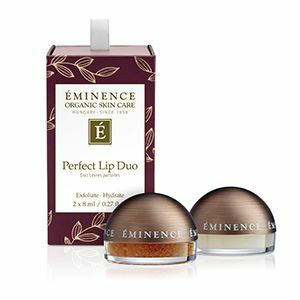 This practical lip treatment will leave anyone with a smooth kisser plus, it fits seamlessly into even the most minimal of skin care routines. The beautiful and petite gift set box can easily be reused to hold bobby pins or hair elastics and, with every Eminence Organics purchase, a tree is planted thanks to our initiative with Forests For The Future. This is a gift you will feel good giving, and that your eco-conscious pal will feel good receiving too! Whether running kids to soccer practice, traveling for work, or multi-tasking endless to-do’s, we all have someone on our list who looks after others before themselves. 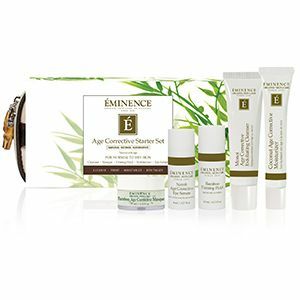 Although perfect for anyone, there is really no one more deserving of an Eminence Organics Must Have Minis Starter Set than the time-strapped loved one on your gift list. Featuring travel-sized versions of five of our best selling products, this starter set comes in a faux suede zippered clutch, making it the perfect option to throw into a travel bag or purse. Containing our Stone Crop Gel Wash, Strawberry Rhubarb Dermafoliant, Stone Crop Whip Moisturizer, Bamboo Firming Fluid and Neroli Age Corrective Eye Serum, this gift includes everything needed for a gentle but thorough skin care routine. 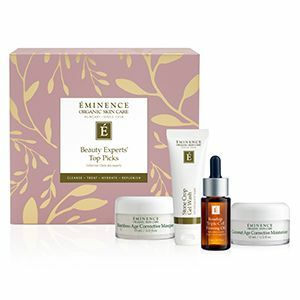 Pro tip: if you really want to give the gift of time, slip a gift certificate for a treatment at an Eminence Organics partner spa into the clutch. Giving your time-strapped loved one an excuse for a truly pampering experience is sure to be a gift they will love and never forget. With a taste for the tried and true, the classics buff is a traditionalist with little interest in fads, and loving anything that tells a story. Their perfect skin care gift? Our Stone Crop Collection Tube or Eight Greens Starter Set. 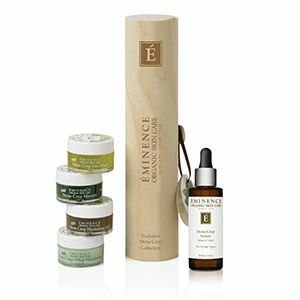 A timeless Eminence Organics collection, our stone crop products have been cornerstone items for many years. With deep ties to our Hungarian roots, this collection is suitable for all skin types, providing deep hydration and balance. This gift set contains a full sized bottle of Stone Crop Serum (a favorite of actress Diane Lane) along with travel sizes of our Stone Crop Gel Wash, Stone Crop Hydrating Gel, Stone Crop Masque and Stone Crop Whip Moisturizer, all placed in a hand-made wooden tube. Another option is our ever-popular Eight Greens Starter Set. Designed to target the look of problem skin and treat the visible signs of aging, our Eight Greens Collection leaves skin looking radiant and feeling fresh. This is the perfect gift set to introduce the collection and includes a one month supply of our Stone Crop Gel Wash, Eight Greens Phyto Masque and Eight Greens Phyto Masque – Hot, Eight Greens Youth Serum and Eight Greens Whip Moisturizer. Winning multiple awards over the years, both collections are longtime favorites of professionals and consumers alike, and the perfect option for the classics buff in your life. With a lineup of products that consistently top our best selling and award winning product lists, the Age Corrective Starter Set is the perfect gift for your forward thinker to reach their skin care goals and move on to the next project. considers skin care a serious hobby. This makes our VitaSkin™ Starter Sets an ideal option to set them up with an arsenal of potent skin care solutions. With options for Calm Skin, Clear Skin, Bright Skin and Firm Skin, these gift sets each contain a coordinating travel size cleanser, moisturizer, face mask and booster-serum packaged in a convenient faux leather toiletry bag. Our Calm Skin Starter Set works to reduce the look of redness caused by dryness, leaving sensitive skin feeling soothed and soft. Our Clear Skin Starter Set contains probiotics to balance the complexion and salicylic acid from willow bark extract to minimize the look of problem skin. Our Bright Skin Collection contains a natural hydroquinone alternative to leave the skin looking luminous and bright. Our Firm Skin Starter Set contains acai berry packed with antioxidants and vitamins and leaves the skin feeling plump and toned. With enough product to last at least one month, we even suggest gifting your trainee esthetician a few starter sets to allow them to mix and match products for a totally custom routine. Vigilant with their skin care and always hunting for the most prestigious products, the luxe lover appreciates a treatment that brings the spa home. 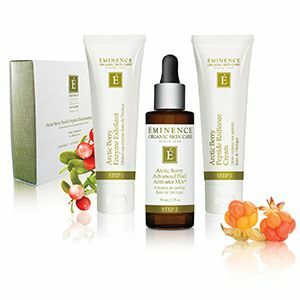 Leave their skin absolutely glowing with the Eminence Organics Arctic Berry Peel & Peptide Illuminating System. This three-step system is designed specifically to provide care between spa treatments, ensuring long lasting, visible results. This set contains our Arctic Berry Enzyme Exfoliant to slough off dead skin, Arctic Berry Advanced Peel Activator MA10 – a self neutralizing liquid exfoliant that takes the refining process deeper into pores and Arctic Berry Peptide Radiance Cream to lock in moisture and illumination. With this gift you will ensure that the luxe lover in your life extends the results of their regular spa visits and has an exquisite addition to their regular skin care ritual. With this compilation of skin care gift sets, we feel confident that you can find something for everyone. Do you have more gift suggestions? Did anything above make it onto your wishlist? Let us know in the comments below. This post was written by Jen Wynn from Eminence Organics.